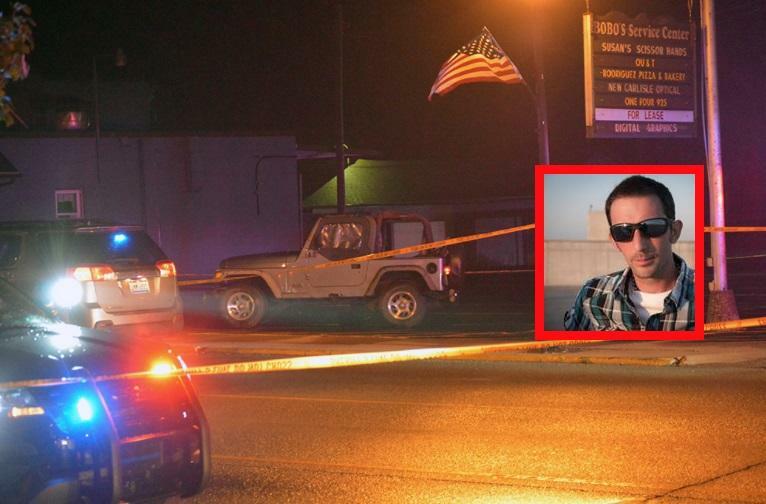 A news photographer was taking pictures of a traffic stop when he was suddenly shot by a deputy on Sunday night. The deputy thought the photographer had a gun and shot him on reflex. Andy Grimm, a reporter for New Carlisle News, was then taken to the nearby Miami Valley Hospital for surgery. Grimm was rushed into surgery for the gunshot wound. The incident occurred around 10 p.m. Sunday when Grimm was trying to take photos of lighting during a storm but little did he know he was at the wrong place at the wrong time. While Grimm was using his camera and a tripod to photograph the lighting, Clark County Deputy Jake Shaw was conducting a traffic stop nearby. Shaw saw Grimm and mistook his tripod and camera for a weapon, that's when he fired on him without any warning. "I was going out to take pictures and I saw the traffic stop and I thought, 'Hey, cool. I'll get some pictures here," Grimm said, "I turned around toward the cars and then 'pop, pop." The photographer says he was in full view of the officer and he was given no warning or orders to raise his hands before he was shot. By chance, Grimm says he knows deputy Shaw and he said he doesn't want him to lose his job over the accident. After going to the hosptial and undergoing surgery, Grimm is expected to make a full recovery according to New Carlisle News where he works.